Van Kempen puts the finishing touches on a timeless silhouette. 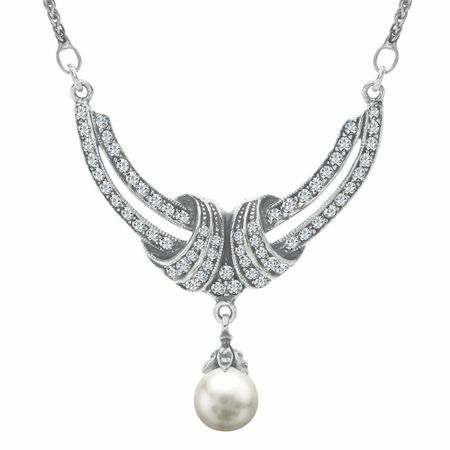 A bright, simulated shell pearl descends from a stylized crescent adorned with scintillating, round-cut Swarovski crystals in this elegant sterling silver necklace. Piece measures 1 3/4 by 1 1/2 inches with a total length of 17 inches.